Aaron Siskind (1903 – 1991) approached photographic representation with a shifting focus over the course of his career. He began in the 1930's documenting depression era life as a member of New York City's Film and Photo League. Toward the latter period of his documentary work, Siskind's growing interest in the poignancy of less referential images began to reveal; the repeat of windows perforating abandoned brownstone façades in Harlem translate more as an exploration of pattern and texture than as social commentary. In the early 1940's Siskind left the League and submerged himself in an unrelenting exploration of abstracted images. He became a founding member of "The Club", the New York School cooperative salon, together with Abstract Expressionist painter peers and friends. Siskind's photographs progressed from expansive images of urban façades and debris to fragmented views – potentially of the same buildings – this time the pattern, texture, and stains of the surface are seen at an intimate proximity; photographs akin to the abstract painting concurrently afoot. 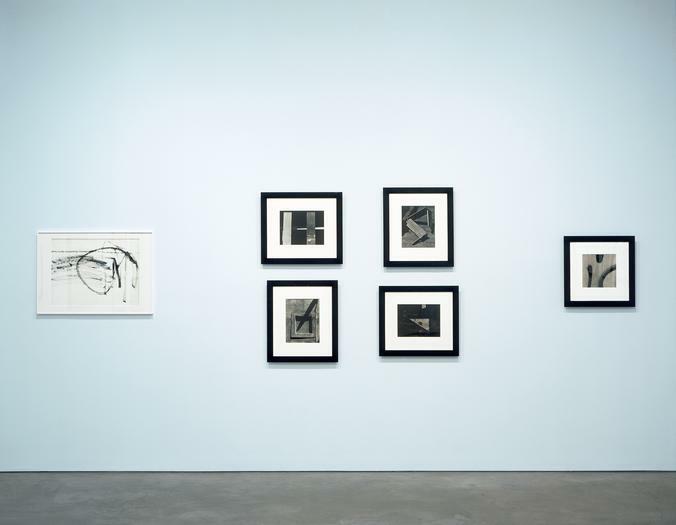 This exhibition honors the correspondence that existed between Aaron Siskind and the Abstract Expressionist painters working simultaneously via the inclusion of a group of drawings by Franz Kline, Willem de Kooning, Barnett Newman, and Hugo Weber. A number of Siskind's photographs depict formal relationships that look almost as if he found a painting by one of the aforementioned, hastily brushed out on the side of an abandoned building, and took a picture. 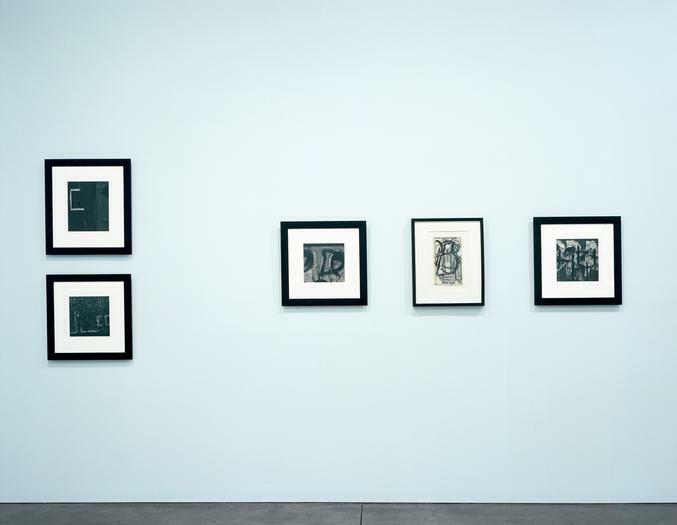 However, information was traveling in both directions as indicated, for example, by Kline's painting entitled Siskind, from 1958, or de Kooning's Woman paintings in which details from Siskind's photographs are incorporated. 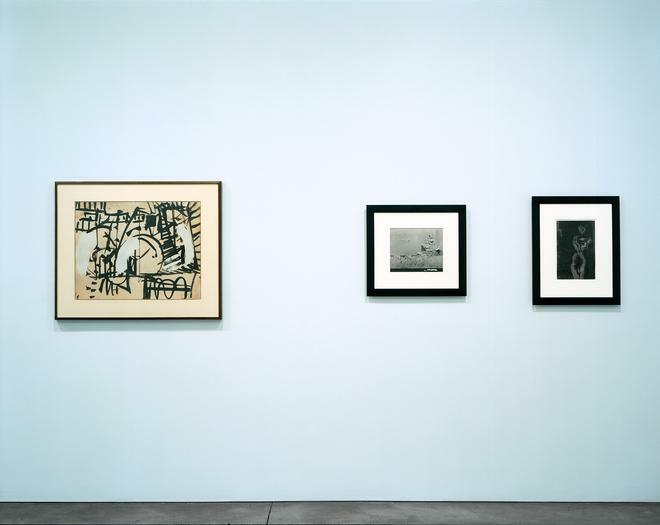 In other work by Siskind, the photographed pattern is subdued and overall, or with a faint graffito showing through. Though superficially flatter than any painting, there are also photographs in this exhibition that, through their precise representation of pealing paint (for example) rival the tactility of the most dimensional de Kooning. Within a movement that is typically defined by way of the very nature of painting, it is interesting to see photographs that are able to convey such a similar core. Siskind's work however was also engaged in revealing his personal experiences, dreams, and memories. His most compelling images are surprising in their simultaneous chaos and quiet. He sought to obscure the subject matter not just for the goal of pure abstract expression but also to create a visual poetry more concrete than that of his painter friends. Though his hand was not involved in the arrangement or association of elements in each photograph, through the sensitivity of his eye, Siskind succeeds in leaving us with a document that is ever personal in its gesture. 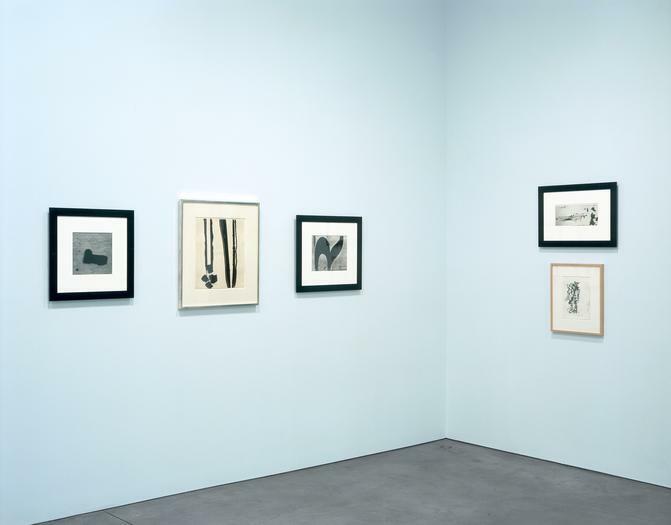 This exhibition was organized with Olivier Renaud-Clement and it is in collaboration with the Robert Mann Gallery, which is concurrently presenting ‘Aaron Siskind 100' from October 16 through December 6, 2003. The Robert Mann Gallery is located at 210 Eleventh Avenue (between 24th & 25th Streets, Floor 10).